Bring us your draperies, sleeping bags, and comforters to take advantage of our large loading machines and the fabrics your machine at home can't handle. Our 76 lbs. 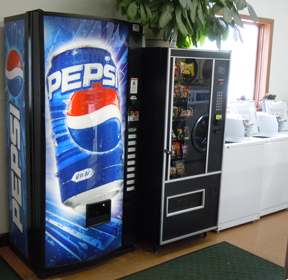 Maytag Dryers are the largest within 100 miles of Brainerd, great for home, cabin or your business. Our wash machines are SIX times the size of yours at home! Wash your bedding with us! Hungry or thirsty? We have a fix for that too! • Daily 6 a.m. to 11 p.m.
Our 76 lbs. 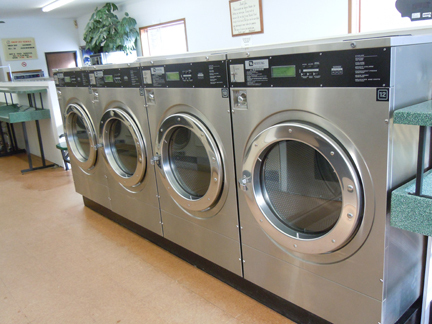 Maytag Dryers are the largest within 100 miles of Brainerd, great for home, cabin or your business.